I underwent gallbladder surgery and am now fully recovered. These tips are based on what I found helped facilitate my recovery. 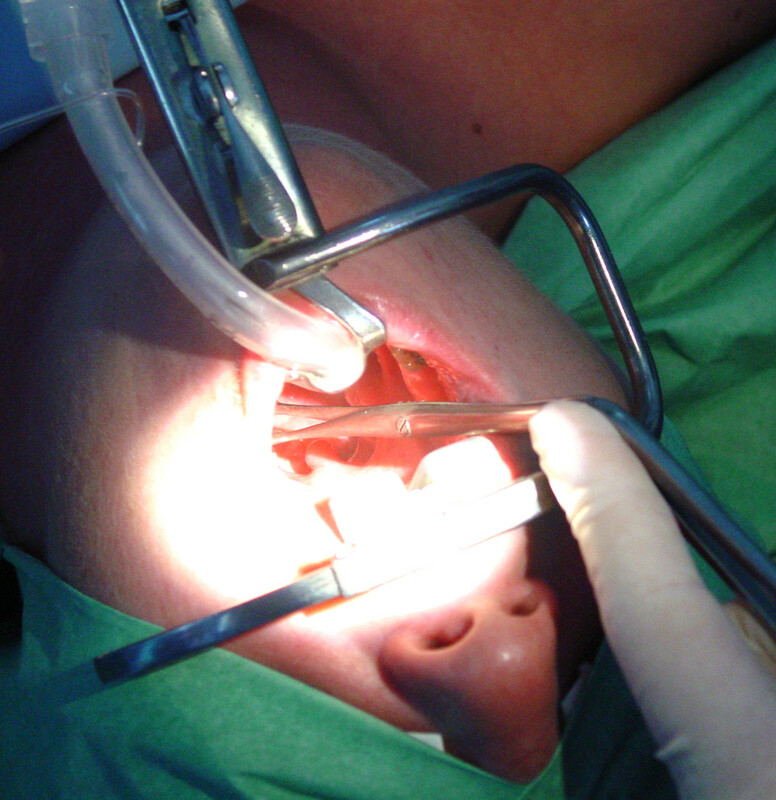 Having surgery can be a scary experience, especially when it has to be done suddenly. Thankfully, technology has brought the medical field a long way. If your doctor has advised you to have gallbladder removal surgery (also called a cholecystectomy), then don’t fret. The good news is that you can have this procedure done as a laparoscopic surgery, meaning that you won’t have one long incision to recover from. Instead, you will have four small slits that are made in your abdomen, making recovery a much shorter process than recovering from an open cholecystectomy. You will also be inflated with air so that the surgeon can more easily perform the surgery. I don’t usually take anesthesia that well, so you may not notice as much nausea as I did. Your body type can also have an impact on how you feel when you wake up. I highly recommend speaking with your surgical team about common symptoms and any other concerns you may have regarding recovering from laparoscopic gallbladder removal surgery. I’ll admit that I almost freaked out when I saw the four incisions on my abdomen (one in the upper abdomen, two on the right side, and one by my belly button). The only surgery I had prior to this one was getting all four of my wisdom teeth out, so I really wasn’t sure how I was going to handle being cut open. It didn’t help matters that the cuts were fresh and didn’t have any time to heal prior to me seeing them. 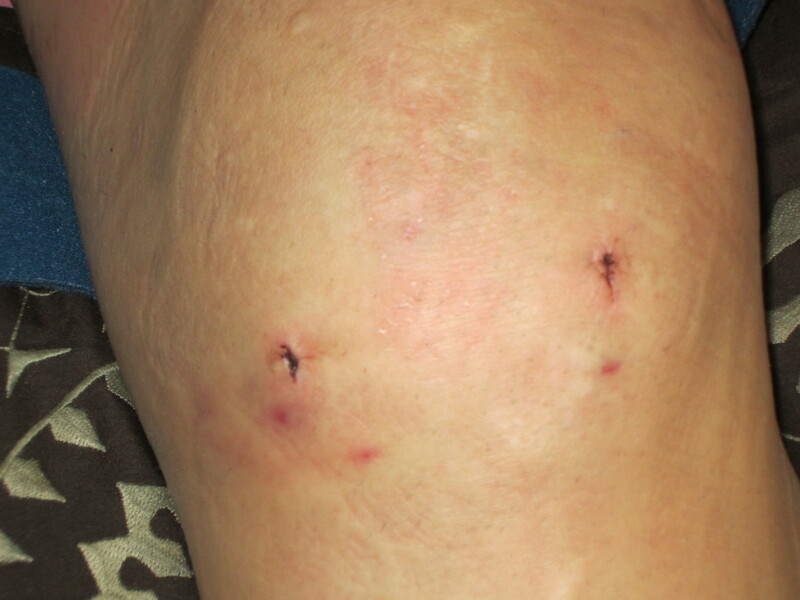 My surgeon stitched my incisions together with dissolvable stitches and then put surgical glue over each incision. I was instructed to let the glue wear off on its own, or at least until my follow up appointment so that my surgeon could evaluate how the healing process was going. I had pain around my incisions for about a week, especially when I had to sneeze or cough. To help combat the pain, I would grab a pillow or something soft to hold on my stomach whenever I felt a sneeze coming on. With each passing day, the soreness began to go away and I started feeling more normal by the end of my first week post op. When you are recovering from gallbladder removal surgery, make sure you do your best to leave the incisions alone. You will want to limit your range of motion for at least a week so that each slit has the chance to build new skin cells and reconnect the tissue. Trust me, the last thing you want is to pop one of your slits open! This was a particular challenge for me because I enjoy staying active, but I knew that being good for a week was better than risking it and ending up back in the doctor’s office for more stitches. 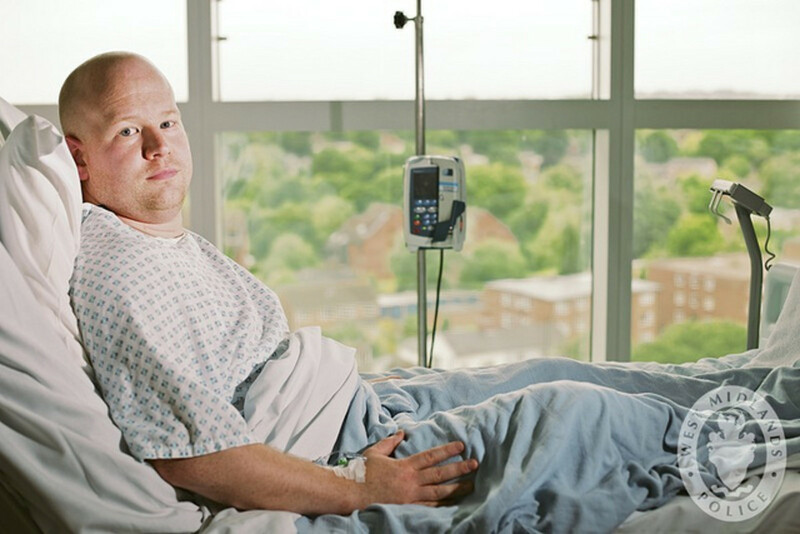 Depending on where you have your surgery and under what circumstances, you may be required to eat something and keep it down before they let you discharge. For me, I was told that I had to be able to function without the heavy medications they had in my IV and I needed to eat solid food. After four days of being on a diabetic liquid diet, I was ready for something real! When I received my first tray of solid food, I did notice that my stomach didn’t want to eat as much before. My surgeon told me that my body was going to have to reconfigure its digestion process, so I may notice my digestive system acting a little weird at first. I was lucky in the fact that I didn’t have any major issues with my recovery process in the eating realm. Although my body learned how to work without a gallbladder fairly quickly, I have noticed that I have to be more cautious about what I eat now. I’m now two years post op and still have to be very careful about eating too much at one time, indulging in fatty foods, and anything that contains a lot of dairy. I get a craving for bacon every now and then, but I know there is always a chance that my body will disagree with it. Part of the issue could be due to the fact that I no longer have an additional organ holding extra bile for the digestive process. I still get to enjoy these foods on occasion, just not every day or in excess. Remember, everyone’s recovery from gallbladder removal surgery is going to go differently, but you should be able to return to a non-active job within five to seven days. Personally, I went into the hospital on Sunday, found out I needed surgery, had the procedure on Wednesday, and then returned to work the following Monday. My job required some movement and interaction, but I just took it easy and didn’t lift anything heavy (like our instruction binders). I also decided to sit during the moments when I was talking to parents at the school rather than standing, partly due to the fact that I still felt a little weak and sore, but also because I didn’t want to do too much too soon. If you work a job where heavy equipment operation is necessary, I encourage you to speak with your surgeon about how long you should wait to go back to your job. You may want to discuss alternative options with your supervisor so that you can still work but complete other tasks while you are healing. If you take any short-term disability, make sure you discuss how that works with your human resources department. I was really upset about the timing of my surgery because I had just bought a car the day before I went to the hospital keeling over in pain (which I later found out was a gallbladder attack). When I finally got discharged from the hospital, one day after my procedure, I was very anxious to take my car for a ride. Thankfully, I had family and friends taking care of me, which also included preventing me from doing stupid things, so I waited until I went back to work on Monday to drive. Listen to your body, your doctor, and the advice of others before you set foot into your vehicle! As for exercising, I waited a few weeks before jumping back into anything. I made sure that I had approval from my surgeon before engaging in physical activities again, which I also recommend that you do. I don’t think I realized that recovering from gallbladder removal surgery was going to impact my exercise habits so much. I figured that I would have to start slow and work my way back up, but I found that my incisions were still limiting what I could do. I found that I couldn’t run much because it would make my incisions feel weird, sometimes a little sore, so I stopped doing that and tried to find other things. I also noticed that I had to be careful with engaging in any activity that stretched out my right side too much. I was finally able to get back up to my regular range of motion a couple of months after surgery. Your recovery process may be completely different, but keep in mind that exercising may be limited for a little while. I am so grateful to have gotten my gallbladder removed after all the pain I experienced. Although there were painful times during the recovery process and I had to endure the surgery, I’m much better off now. My life has returned to normal – I’m exercising frequently, eating good (and enjoying some treats every now and then), and I’m not experiencing the pain that I had felt so much prior to my surgery. I hope these tips for recovering from gallbladder removal surgery help you! 94 yrs old Dad has laproscopic surgery on Sat. Sun they put in a stint to help with the last stone. 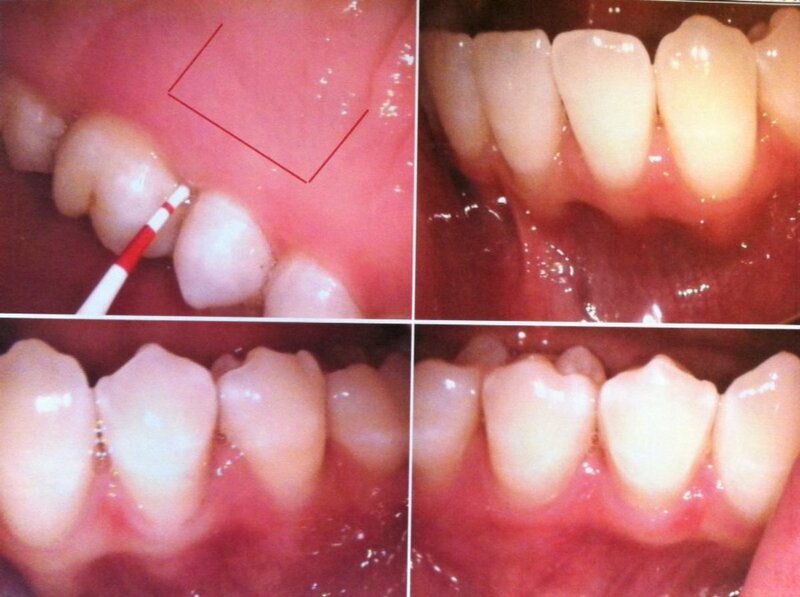 6 to 8 weeks they will go back again and cut it out. In a lot of pain, and not wanting to go to a rehab center that hospital is suggesting since he lives alone and is on a walker. Any suggestions of what to do? 65 year old woman here. Had my gallbladder removed as emergency procedureWednesday night. Monday I was up all night thinking I was having a heart attack, with nausea. Had my daughter take me to urgent care and after process of elimination and pressing hard into my right rib cage determined after my reaction it was gall bladder. Intense pain from 3:00 AM to 2:00 PM. Looking back I should have called an ambulance. The urgent care said I would be dead if it was my heart. After immediate ultra sound they would not let me leave till it was reviewed. Dr. Called me while at place of ultrascan and told me to go to emergency in hospital to be admitted. Gall bladder thickness was 4 times normal and full of gall stones. After being on IV from Tuesday night till Wednesday night at 10:00 pm I was operated on. Was told it was lack, full of sludge and gangrene. Told me I was lucky to be alive for possibility of rupture! Crazy! I’m home and was not given a diet. I realize what I can and cannot eat from your article and research. 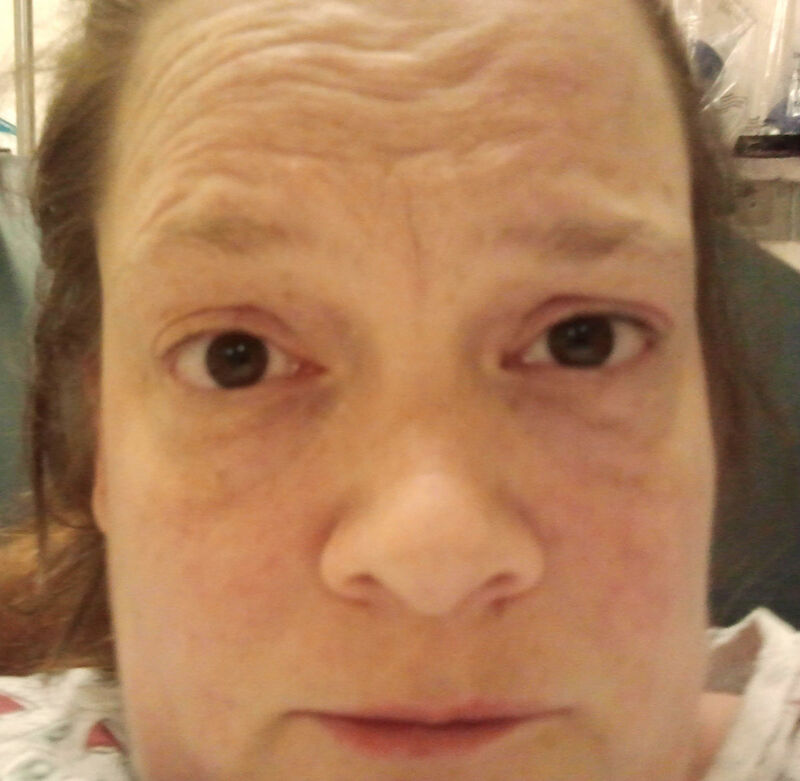 I’m almost 3 days post operative and have liquid diarrhea pouring out of me. Time for broth and rice. I hope my liver isn’t destroyed by this. I often wonder if my 14 years of taking Prilosec destroyedmy gall bladder. Anyone else take that stuff? Thanks for the article. My discharge instructions were very clear. My nurse verbally told me diets for post op, but because I was just off anesthesia I can’t remember. I know I have to be a liquid diet and pass gas (belching) a lot! Walking to help move the gas. I’ve been drinking so many fluids since I’ve left the hospital. I know I need to be on a liquid diet for 24-48 hours, but the part I couldn’t remember is what I could try to start eating on day 3. Thanks for this article it has helped a lot. Great article. It was helpful on what I'm getting ready to go through. Getting mine out in 6 days. Thanks! I had my gallbladder removed for a month..and biking is my life..i do biking long ride and use it as my transportation to work..can somebody tell me or suggest, when can i ride on my bike? how many months do i need to wait for my total recovery so i could already ride on my bike? Thanks Tori! I had mine removed two weeks ago and this is the most helpful article I have read. I am 88 and had my first abdominal surgery a week ago today. The laparoscopic surgery went well and I was home 3 hours later. After having read a lot about what not to eat following this surgery, I put myself on a broth based diet for 2 days and then gradually began solid food. First was rice to aid in settling the gas and liquid bowel movement problem. then next day I had salmon and steamed potato. since that time i have basically eaten what is normal for me - a very low fat diet. No red meat, no fats other than olive oil and have felt very well. Cheese and ice cream are my two major vices and I have not returned to them yet. I hope to try a tiny bit of cheese in another couple of weeks. So far,I am very satisfied with the outcome. Very helpful article and easily explained. Wish I'd read this piece before going in for my operation last Wednesday [ 23rd August 2017 ] - it's rather excellent , well done , Tori ! In 2012 I contracted sepsis and was flown to a hospital which was a 6 hour drive from our home - I suffered multiple organ failure , sole kidney , lungs and eventually my heart gave out - I'm very lucky to be alive , I should be dead by all accounts and I was in hospital for a total of 3 months , taking another year or so to fully recover . The point of my story is - I asked my Surgeon about ' Worst case senario post gallbladder op ' and he was happy to tell me that I could end up in Intensive Care suffering from sepsis again !! My experience was very similar to Tori's - I now have 4 incisions in my torso - all about an inch long - one close to the navel , 2 on my right hand side under the rib cage , one directly beneath my chest cavity . Upon wakening I experienced pain in my abdomen and back - my back pain was due to a long term back problem so won't concern anyone else - I didn't experience any shoulder pain at all , whether down to my super human strength or just luck I don't know [ I walk with the aid of sticks so I'll let you figure that one out ] - the operation took around an hour , perhaps an hour and twenty minutes and while you will experience a little confusion upon awakening due to the anaesthetic you'll soon come round . The Recovery Room Nurse had the most soothing voice - under morphine I asked her if she would return home with me , she answered that her voice wasn't so soothing when she shouted at her dogs ! Anyway , not sure what my wife and children would have had to say about another member of family joining them so soon without as much as an introduction , but morphine is a very relaxing drug ! I must have had the operation at around 9am and by 1pm I asked if I could go home - I was turned down but was allowed home at 4pm , so a total of around 8 hours + in hospital [ I was admitted at 7.30am and walked into Theatre by myself ] - the easiest and least painful of all the operations I've experienced [ I had my right kidney removed aged 13 and an operation on 3 of my lower discs in 2011 ] - Absolutely nothing to worry about . Have pain killers standing by - I also took Omeprazole just in case of acidic pain [ not sure if it was needed though ] - I also took in some fibre powder to combat the effects of the strong painkillers as I didn't fancy any stitches bursting when going to the loo [ too much ?? ] - sorry . I had my gallbladder removed on 06/30/17 and I'm doing great! It was the best surgery I ever had. Yes, the first week after the surgery can feel like hell because of the soreness in your stomach and the first two to three days of shoulder pain from the gas they used to see your stomach, but it gets better each day. I walked around like my surgeon said to help get the gas out of my system and for my body to help dissolve it. I was prescribed Percocet and that worked wonder for the first four days, after those four days I took Motrin to control the pain and now I don't take anything. You might still have some mild to moderate soreness for the first two weeks, but remember, you just had major surgery in a minor way! They took an organ from you and it wouldn't be normal if you didn't have pain. I had dissolvable stitches put in with steri-strips on top of them. I would shower regularly to keep the wound areas clean. I would just let the warm water and soap run over them and when I got out of the shower I would dab them dry. It's very normal if some discharge comes from the stitches. The only time you should worry is if the area is red or has an abnormal amount of discharge or the discharge is of a unusual color and you're having major pain with it and a fever. If I was in pain when I waited for the pain medication to kick in I would do fifteen minutes of warm compresses and then fifteen minutes of an ice pack and that helped wonders. I kept moving around, but I didn't overdue myself. You're going to have aches and pains for a few weeks, but that is totally normal. Remember, if you think something is off, don't go to Dr. Google to research it and scare yourself. Call your on-call surgeon or nurse, it is usually something treatable at home and they're the best judges, not Dr. Google! This surgery is preformed every single day and is one of the most common surgeries in the U.S. and the benefits generally outweigh the risks. Don't be worried and it will be okay. I was extremely anxious, but I'm so glad I had it done! I had my gallbla REmoved today. They gave me my gallstones, which were huge, and there was 21 total. I can't sleep the pain is so bad and the pain medication, tramodol, isn't helping at all. I'm calling surgeon in the morning for something stronger! I was told thats its a 6 wk recovery period? I had gall bladder surgery on 6/13/2017 and it's still hard for me to get up or sit. I fell very, very sensitive on my belly button area feels like burning/teering and dizzy at times. Should I be still feeling this pain? Hello. Very useful article. It is now a week since my operation and this is my first day without pain killers. Each day has got easier with longer periods of reduced pain. I was surprised to find I did not want to eat and food does not appeal much. Hi, nice video, my sister had laparoscopy surgery in Bangalore at past week but she didn't recover till now. So, please tell the tips to recover. Laying down and sitting up without lots of help is almost impossible. I notice the pain meds help me sleep but don't really ease the pain as much as I hoped. Probably good since I'd end up hurting myself. My incisions are across my abdamon and not under my ribs like the doctor said they be. Is this unusual? Had it done yesterday in Orlando at 10 Am. Home by 3. Felt fine so drove myself 2 hours to my home in St. Augustine at 3:30. Soup and bananas and scrambled eggs and spaghetti so far. Pretty sore today more than yesterday but two extra strength tylenol every 6 hours seems to work. Short walk on the beach today. Sitting here getting some work done and have a couple appointments tomorrow. Should be good to go. Goal is to be back on stationary bike by Saturday and light weight training by Monday. Full schedule of work next week. I'm 61. My wife had laparoscopic yesterday morning at 8:30, we were home by noon...on the way home she had to have a McDonald's Sausage Egg and Cheese McMuffin. That was about 2 hours after surgery. Early afternoon, she finished mixing up some wonderful homemade chicken salad and after it cooled in the fridge she had 4 Ritz crackers slathered with a big spoonful of chicken salad. That turned out to be an appetizer, because she asked me to heat up a plateful of a Chicken Artichoke and Rice Casserole that we had for dinner the night before. She begged me to make her an Oreo shake later that evening but I told her I thought the ice cream was a bad idea. I think I'm forgetting something else she ate...anyway, pain meds never cracked the #10 Crying Face Symbol...she couldn't sleep. Popped an Oxycodone every 4 hours and it would only take the pain to a 7 she said and right back up to a 10 at the 4 hour mark. She was miserable. She called the doctor this morning early and described the pain and they said that didn't seem right and they wanted her to come in to the ER and they would have them run some tests. 5 tests over 7 hours at the ER and every one of them came back clean as a whistle. No leaks, no probs...nothing. They gave morphine and something else and offered to admit her in order to help manage her pain for tonight. She thought long and hard about it, but decided to go home. We drove slow, as every crack in the asphalt seemed like it was whittled out by the Devil himself. We finally get home and she sends me out for shrimp fried rice at the local Japanese restaurant. Oh, the earlier food item I forgot about earlier was a creamy iced raspberry bundt cake from a local specialty shop. She had a couple pieces yesterday and this evening. We sat for 7 hours in the ER and I asked her did you ever tell them you blew past that bland liquid diet idea? She said, "they never asked me if I ate anything." Hope her pain is less tomorrow, but knowing her, we'll be having Mexican food at that place that has "the best Tres Leches Cake". Thanks for helpful hints. experienced gas pain day 2 and BM day 2. 'Today is Day 4. some pain/soreness in belly. up moving pretty well. Walking, sitting and resting. Not much of appetite, Low fat diet. Drinking water, juices, popcicles. hard for me to be this inactive though. Work in yard daily. Good luck to all. Rest when needed! I had two surgeries several weeks apart. Two days after gall bladder and next day after appendix was back at work. I only had a slight tummy ache for a day or two. 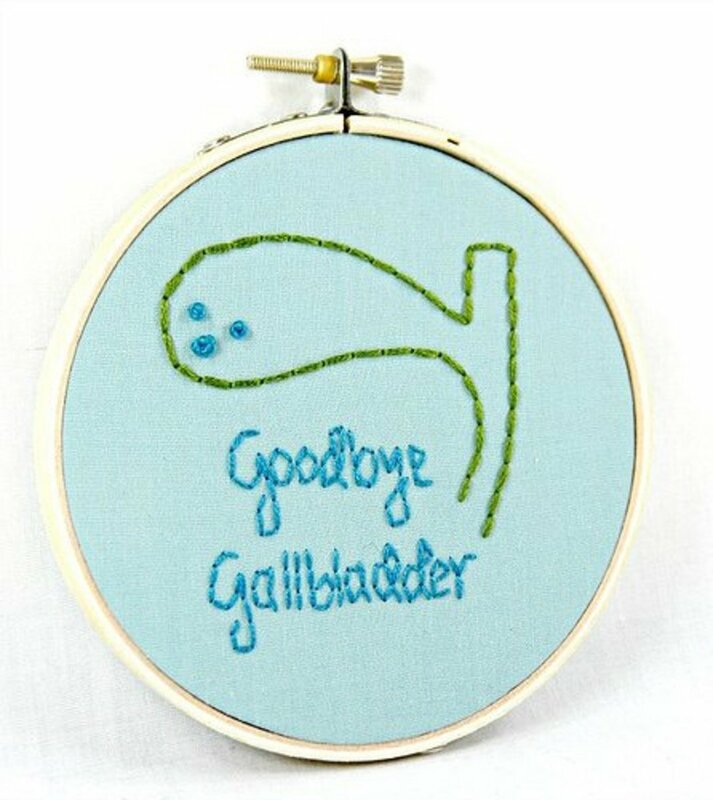 I had gallbladder removal yesterday. Wasn't nervous at all. Everything went well but my surgeon said I bled more than normal and around my liver. I was able to go home the same day but its been painful around the incision. I woke up this morning in pain and can barely move around. But i got out of bed and took some medicine and took a shower. Haven't had much of an appetite but making myself eat something so I had some soup. I've had some gas but no bowel movement yet. I'm aiming to go back to work on Monday but I have people telling me not to until the doctor have released me. I work two jobs and alot lifting and bending over and standing so I'm going to try to wait but we shall see how I feel. Everyone is different when it comes to having surgery. Everyone heals different or may take a little time more than normal. Its ok give advice or take it. I'm more of taking it one day at a time. It's only day two for me so I go more to look for. May God be with me during this time of healing as well as everyone else that has to go through procedure. I had gallbladder surgery on Friday September 30th, so it's only been 3 days. I have to admit I didn't really know what to expect, even though my dad also has his gallbladder removed 2 years ago. The first night in hospital was ok, i only took Endone once after the anesthesia wore off. The nurse on duty gave me a couple tabs of gas-ease to help with the bloating, but even a few laps around the ward didn't help my situation. The first night at home was a different story though. I took half a dose of panadeine Forte (Paracetamol & codeine) as a precaution and woke up an hour later with extreme nausea, sweating, disorientation and PAIN! I thought I was having another gall bladder attack. 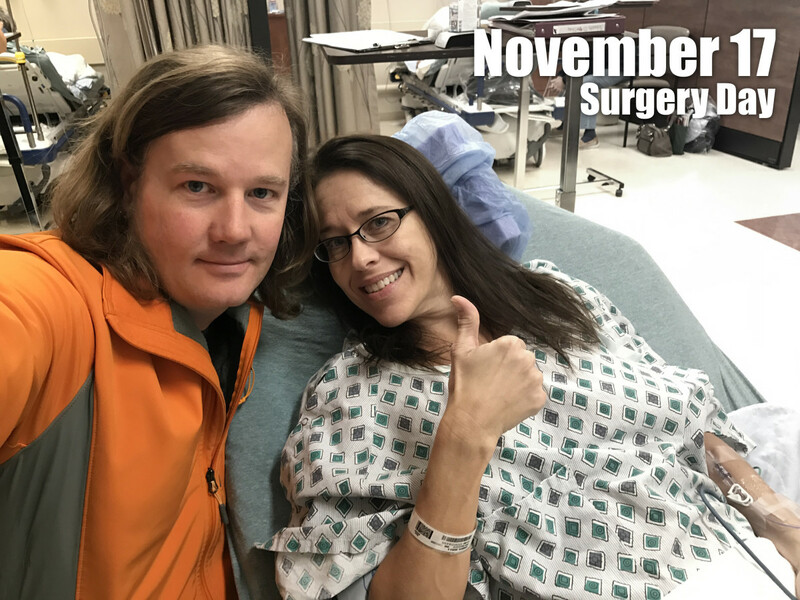 I was ready to go back to the hospital until my husband calmed me down with tea and a back rub, as well as some controlled breathing exercises. That morning, and after a few more tabs of gas-ease, i was fortunate to finally go to the toilet, and pass the majority of the gas. Last night was great in contrast, I only took 2 tabs of Panadol and had a great 6hr sleep. Today I do feel really tender around the bellybutton incision and I took my first walk around the block and felt like my gut was hanging and needed extra support. I am pretty sure I still have a bit of gas and bloating in my belly, but everything just feels so loose and tender. i do not have a problem with food at all.. I am sticking to my pre-surgery diet for a couple weeks though, and I have a hearty appetite. Sneezing and coughing is my main worry today. I have tried covering my belly with a pillow, but alas i am a very loud sneezer, so it hurts. I am lucky I have the week off from work - there was no way I could function like this. Love txgal comments!! Had surgery Monday and it's now Friday. So four days ago. I have to agree on everything she said. Hopefully you are a she! Anyway, I was hoping to mow my yard today but after all the reading I don't think that it's very good idea. I go back to work Oct 20th and I do very heavy lifting so hopefully this is enough time to recover because last thing i need is a hernia. I had surgery Friday Sept 23. All went well. Went in at 6am for and 8:30 surgery and was home by 11:30am. I walked around much of the afternoon as the nurse said that would help with gas. I found it uncomfortable to really sit due to belly button incision. I only took only 1/4 of pain killer dosage until bedtime using Advil to offset pain as well as Zofran for naseau. I had extreme naseau from previous knee surgery so I just asked and took the zofran fearing that over anything else. On day two I had friends over visiting and walked around more but was in pain from incinsions by late afternoon. I took normal pain dosage and went to bed. Day 3 there was a crisis at work and ended up working 12-4 pm which about undid me, I was so tired. I went home took pain meds and slept. Day 4 I had an appt from 8-12 for work and then headed home to bed. I kept trying to tough this out because everyone said I would be fine in 2-3 days. On the night of Day 4 I finally had a BM that lasted all night long. I really think a few things had really helped me up to this point; 1. Light walking and movement(I never experienced the gas pains at all. 2. Taking 2 stool softeners each day. 3. Eating only broth based soups and drinking lots of water and juice. 4. Cutting back on the pain meds until I really needed them. I also think a few things should have been more clear from the doctor and friends; 1. It takes a full week before you are going to be anywhere close to normal. I am not there yet but am on the other side. 2. You need to take one week from work off plus a day. Schedule surgery on a Thursday or Friday and take the entire next week off. Don't let anyone tell you different. 3. Only have the foods you should eat nearby and throw everything fatty, greasy or starch out along with well wishers treats that are going to sound good but make you sick. Accept help. Don't believe people who say it's 2-3 days. I don't include w why they lie. The incisions don't hurt but they are uncomfortable. Yes, it feels like you were stabbed 4x but it's the belly button that you will notice the most. Get lots of new pillows, about 6 good fluffy ones and tent them up behind you. When I slept (and you can only sleep on your back) I did so angled on these pillows. Laying flat is absolutely the worst thing you can do. The worst. Walk around ever few hours. Don't push yourself. Be ready on day 3-5 and keep lots of toilet paper ready. It's highly unpleasant but part of the process to heal. I'm only a this point. Day 6 is tomorrow for me. I will let you know but I think tomorrow is a turning point for recovery and I am going to feel much better. Good luck. You can do this! I remember having to urinate frequently and not much during day 1. This improves as the bladder can take more liquid later. Nurses advice : Don't lie in bed. Take the painkillers and move about to help prevent blood clots in the rest of your system. The most painful day for the stomach. Have to take it slowly going up stairs. Removed outer dressings but did not have a shower or bath. I'm a healthy 43 yr old man near London. 5 months ago I had pain under my right rib cage. Urinating orange. 4 days later and an MRI scan showed my gb was full of fine gravel, and one of them had popped out and got stuck in the bile duct pipe. The bile breaks down fat and lightens the colour of your urine. The gb stores a lot of bile from the liver and acts as a repository for enabling rapid breakdown of fat. If the bile can't go anywhere, it backs up into the liver and starts causing jaundice - which I had, as well as a total loss of appetite. A blood sample confirmed the liver function was wrong. 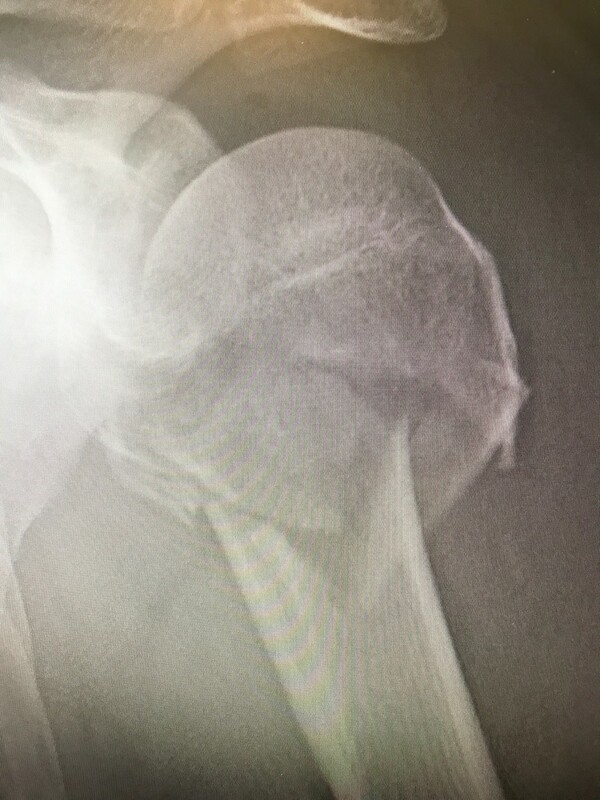 So I had a special op 2 days later to remove the stone. I decided to have the gb removed on doctors advice. That op happened yesterday. Went like clockwork. 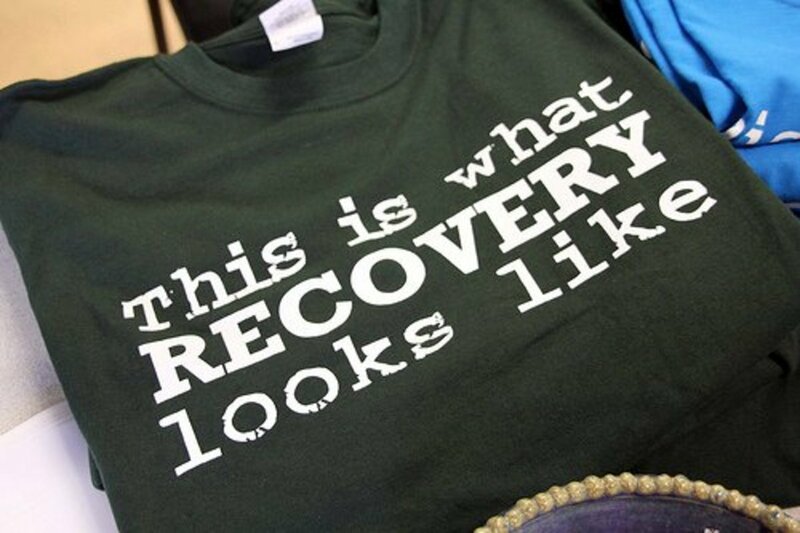 Very apprehensive but once you're under, that's it, you come back out into recovery. It took 5 hrs to stop feeling drowsy. I had to pass urine before leaving hospital. They give you codine and paracetamol. Felt fine except for an ultra dry throat. Day 1 was fine, stomach a bit sore. But only like after doing 100 sit ups. Spend your time on your back in bed as much as possible. Burp as much as possible. If sitting up, get someone to help pull you up slowly. Else roll onto your left side and slowly push up with your left arm. Use legs at all times for vertical movement. End of day 1 recovery now, not much pain unless I get up. Best to just lie really. I am going to have my gall bladder removed very soon. I gotta say I am a bit scared of surgery but I hope it's better than going through stomach pain every month . And thanks a ton everyone for sharing their stories . It will definitely help me through surgery. I just had my gall bladder removed two days ago. I was having severe stomach pains the previous week & I thought it was food poisoning as I already have a delicate stomach. After gall bladder surgery I get tired easily & was coughing up some yellow stuff. Bile? Its only day 2 after surgery but I'm already tired of being tired. LOL. I'm also still looking very yellow (jaundiced). I've read several things to help with this & I'm going to try them. But I just wanted to say this was a good article. I'm still surprised that very active people get this problem. When I was active I had no issues. 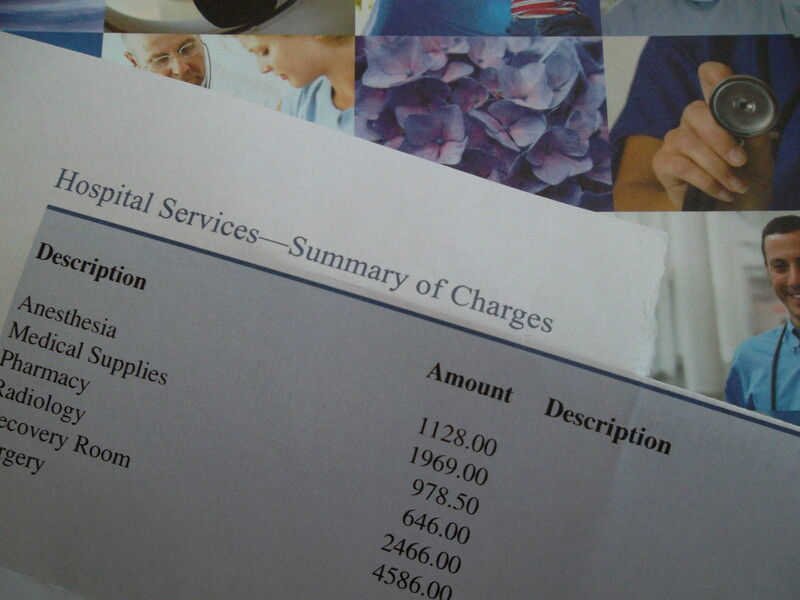 It was my mistake to take my health for granted & now I'm paying for it. Was told I need to have my gallbladder removed. I'm a big baby and really dont want to do this! I hear so many terrible stories about having to limit what food you eat and removing some favorites out of my diet completely. The hardest part is others tell me to be prepared and keep a poop pack in my car at all times. (change of clothes, wipes, towel and such for accidents that will occur). Im really nervous to get myself in situations and be embarrassed over problems like this. My surgeon says she has never heard of anyone having issues like this after having this done, but my friends say it's gonna happen! Any advice? I apologize Heather, that post was meant for you. (BLUSH) About eating. I've been gradually adding some fat back in my diet. Slowly. Anyways, after surgery, I was starving, I hadn't eaten for 36 hours. They gave me all liquids for lunch i.e. broth, juice, yadda....I held it down. Had pasta with meat sauce around 4:30 and was told if I didn't hold that down I wasn't going bome. Well, I was so hungry I didn't experience any vomitting pains after surgery at all. So, DO NOT EAT OR DRINK ANYTHING from the designated time until surgery. That will help. I waited 3 days to shower, although you can shower day after. DO NOT LIFT ANYTHING MORE THAN 5 lbs. USE YOUR LEGS to lift yourself. TRY NOT TO SNEEZE OR COUGH. When lying in bed, place yours knees up, arms under knees, roll yourself to upward position. That relieved alot of strain on stomach muscles. Let me see, I'm trying to think of more things. As I'm a caregiver to my mom and little brother, I did my chores but had my hubby lift for me. As far as work is concerned, I personally would add 2 or 3 days to that week, only because you are still nervous. Keeping a good positive mindset and sense of humor regarding your upcoming surgery will help immensley. I hope this helps. Also, I just got back from a 3-day vaca in Las Vegas toting my mom in a wheelchair and my little bro. (Downs) in arm. We had a blast. Good luck and speedy recovery. Hugs. Apparently I have a lot of gallstones in my gallbladder. I've had several attacks throughout the past many years but they always went back to a more bearable status after about an hour or two. Since I never went to my doctor during an attack and I guess I down played my pain quite a bit, I was never sent for an ultrasound or anything. My symptoms were so intermittent. Well my new provider saw me the day after a severe attack I had, which she got on to me and told me I should've gone to the ER for, and immediately said that's your gallbladder and I'm sending you to Ultrasound. They called me within 20 minutes of completing my ultrasound and told me I was being sent for surgical consult. The surgeon got me in the next day and said it had to come out. So now I'm scheduled for June 22 unless I have another severe attack before then which I have been directed to go straight to ER. You're article is helpful but I'm still super nervous and anxiety ridden. What helped you eating wise after the surgery. I have slowly been altering my diet anyway. I watched a video of them doing the surgery which is cool but again still super nervous. I'm a dental hygienist so do you think taking off a full week will be good? Thanks. Well, I am home and healing from my surgery on mother's day morning. I went into the ER Saturday afternoon via 911. That was my third 911 trip. The first, Thanksgiving Day evening, after tests and the doctor came to me and stated he did not see any reason to "call in a surgeon to remove a gallblader during holiday weekend", so I was sent home. Mind you, I did not have a primary at that time. My second 911 was the latter of February, after tests, my heart skipped a beat ONCE and in comes the ER cardiologist to advise me that I needed a pacemaker. Kicking my gallstone episode to the curb. So, I in turn disagreed and they admitted me overnight for "observation". My heart did not skip at all after that "one time". Sent me home. This last weekend my husband couldnt take it and called 911. I went to the same hospital, when I got there, the ER physician, after being told the aforementioned, said, "why didn't they remove your GB?" lol He had me admitted by 9:30 pm Saturday, surgery at 9:30 am Sunday and home 9:30 pm Sunday night. I was without a bowel movement for 3 days, but with some help from water and prune juice, I'm doing great. A bit sore on my inscisions, but the pain is lessening pretty quickly. It's hurts to laugh and my family loves to crack the good jokes. What I truly believe is in your demeanor prior to any major events in your life. The surgery team I was blessed with were so cordial, we shared pet pictures prior to anesthesia and they had me laughing till I was out. Wishing you all the best. I had gall bladder surgery on August 24. it is Oct 10 and the gas is still in abdomen cavity. I have walked, exercised, stool softeners, alot of Prep h for the hemroids, prune juice. I've seen 8 doctors & many nurses. ER twice and admitted to hospital to get this gas out. Nobody seems to know what to do. Alot of pain and discomfort. Can anyone help??? Reading this made me feel at ease. Even though I'm 20, I felt a little wary about this surgery due to my age. Just got surgery last week Wednesday and youch.... The recovering part is still in process and sneezing is hurting. But the same problems you had is what I'm having and doesn't matter what age you are. I'm sad I have to be more cautios with what I eat now though.. This is an amazing article, so glad that I stopped to read it. I had my surgery on June 30, 2015 after another trip to the ER. I had been to the ER on June 27 & 29, 2015 also. I was in so much pain I couldn't eat anything, just drink water. I was released July 4, 2015 the day before my birthday. The surgery went extremely well. I have a little discomfort on the right side but the discomfort is nothing compared to the pain beforehand. I will have a follow-up with my surgeon on Tuesday, I am looking forward to that so that I can find out how much time away from work I will have to deal with. They did say 3 weeks of no lifting of anything over 15 lbs. So I will just have to wait & see. So far no issues on eating anything. I even had a super lean hamburger & zucchini that I baked in the oven. Hi Dee! Thanks for stopping by. I hope that your recover is going well! I had my glue on for at least a week before the doctor removed the rest of it. The plasters help with reducing scarring so my advice would be to have them on for at least while your incisions are healing and closing. You can always call your doctor's office and ask a nurse what should would advise as well! I just had my gallbladder removed 4 days ago and my experience is exactly how you described it here. Finally getting an appetite but still get nauseous very easily. I do have to say I am bummed about the level of activity to be expected. I was working out 5 days a week before the surgery and was hoping to get back on track (slowly of course) sooner. This article just helped me see the recovery process a little more realistically and will give me a chance to process the changes. Thanks for sharing your experience. I had my gallbladder out on wed. Today is monday and I have the worst sore throat ever. At first it was just scratchy but now the pain is unbearable. Im worried I have an infection. Has anyone ever experienced this? Please let me know. Thank u! Great informative article about gallbladder surgery! I recently had mine out on September 11th of this year (awesome date, right?). It went almost exactly as you mentioned in this article. I mostly feel very well now...except I notice a lot more heartburn which I guess can be common. I'm glad you have recovered so well and are willing to share a little bit of your story. Thanks so much! This is a very comprehensive guide to recovering from gallbladder surgery. Also, congratulations for being selected as the Rising Star writer here on Hubpages. Welcome to HP family. Good hub. My experience was pretty similar to yours. I had it on a Wednesday, went home the same day, and was back to work on Monday. After about three weeks, I got back on the treadmill (slowly) but did have a weird sensation in my abdomen almost like things were jiggling too much because of the the extra room created by the lack of a gall bladder. And, seven years later, I still find that overindulging on a lot of fatty, fried food (especially when combined with beer) causes problems. But I still eat bacon! Thanks FlourishAnyway! I still have bacon every now and then but I have definitely cut back since. It's funny though, one of the first solid things they had me eat after my surgery was bacon. Looking back, that seems kind of odd since they knew it would probably be difficult to digest! No bacon is a tough sentence, but I'm glad you have recovered fully!